The Bachelor 22: Arie Luyendyk Jr.
Topic: The Bachelor 22: Arie Luyendyk Jr.
Word on the street it's between Dean & Peter. Update: Peter Kraus (Rachel's season) will not be The Bachelor. Source: Mike Fleiss's Twitter (100 percent confirmed; link). Also Dean (Rachel's season) won't be The Bachelor as well, confirmed also by Fleiss. With the withdrawals of Peter and Dean along with Wells and Josh. the next contenders will be Ben H and Ben Z.
UPDATE (09/07/2017): Arie Luyendyk Jr. (Emily's season) confirmed as the 22nd Bachelor star for 2018. 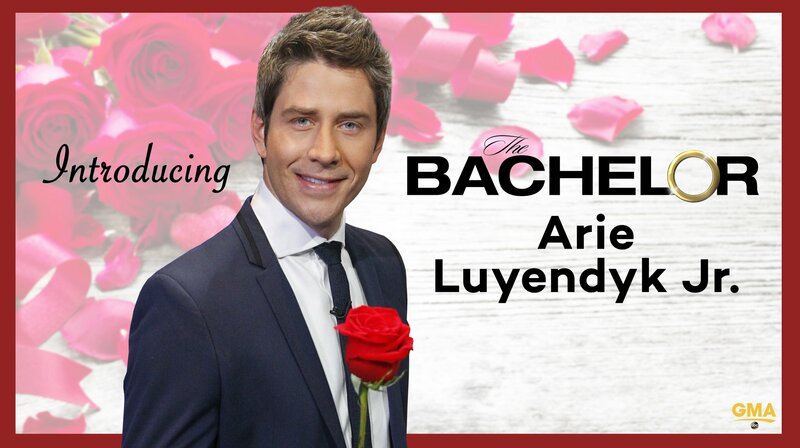 Re: The Bachelor 22: Arie Luyendyk Jr. Most entertainment websites have published the contestants of Arie's season. There will be 29 women are competed in this season. Scroll down two posts for contestants names on this thread. Dashing racecar driver Arie Luyendyk Jr. returns to try and finally win at love. Five years ago, Arie fell madly in love with fan favorite Bachelorette Emily Maynard (now Emily Maynard Johnson) and was ready to propose when she broke his heart. 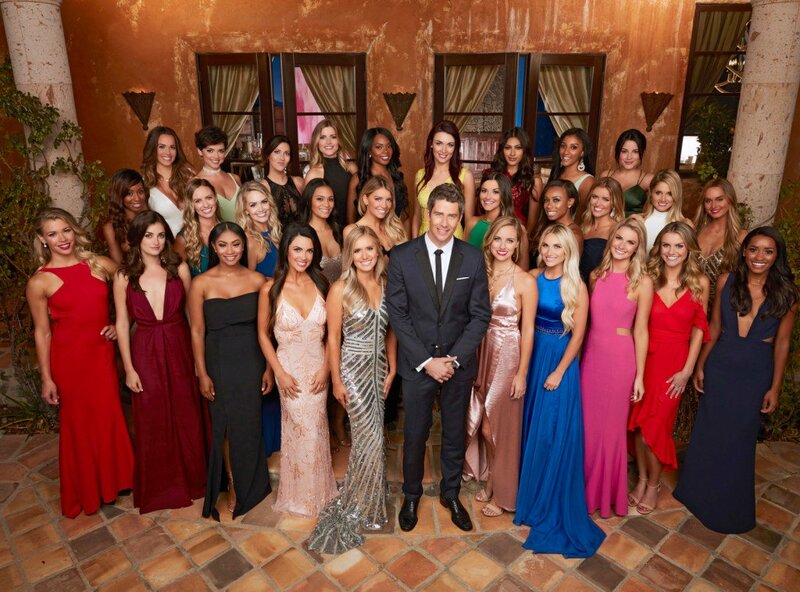 That was the last time Arie was really in love, but now he begins his own pursuit of his soul mate, as 29 beautiful, accomplished women join him on the highly anticipated 22nd season premiere of “The Bachelor,” MONDAY, JAN. 1 (8:00-10:01 p.m. EST), on The ABC Television Network, streaming and on demand. In “Episode 2201,” Arie meets with one of Bachelor Nation’s favorite married couples, Sean and Catherine Lowe and their son, Samuel, before his journey begins. The two men have been friends since they competed for Emily’s heart on season eight of “The Bachelorette.” Sean offers Arie tips on how to date 29 women at one time, while Catherine decides to help prepare him for fatherhood and has him change a diaper. Little Samuel reminds Arie how much he wants the life that Sean and Catherine have. Now armed with advice and encouragement, Arie is ready for the tumultuous night ahead. All the women are eager to make a lasting first impression. A beautiful blonde wearing a mask proclaims that Arie is not the only “kissing bandit.” Another woman roars up on a miniature Formula One racecar, leaving a lot of jealous ladies in her wake. One sassy female gives Arie compliments in Dutch, his second language, and another sultry stunner whispers sweet nothings in his ear. Arie handles the pressure like a pro. The arrivals are almost stolen by a charming woman, who arrives in a cherry red ’65 convertible Mustang. Once Arie enters the mansion, the competition is on! He is swept away by a very assertive and mysterious bachelorette. She lands the first one-on-one conversation with the debonair Bachelor and a very romantic kiss. There is already discord and envy running among the women as they try and steal time with the man they hope will be their fiancé. When the “first impression” rose arrives, the bachelorettes’ anxiety level rises. A hopeful TV host believes that her future with the Bachelor is destiny. Another gorgeous, thoughtful woman makes Arie dig deep about why he hasn’t found true love since Emily. And for some, actions speak louder than words. A feisty lady uses a ukulele to serenade Arie, and yet another challenges him to race riding miniature racecars. 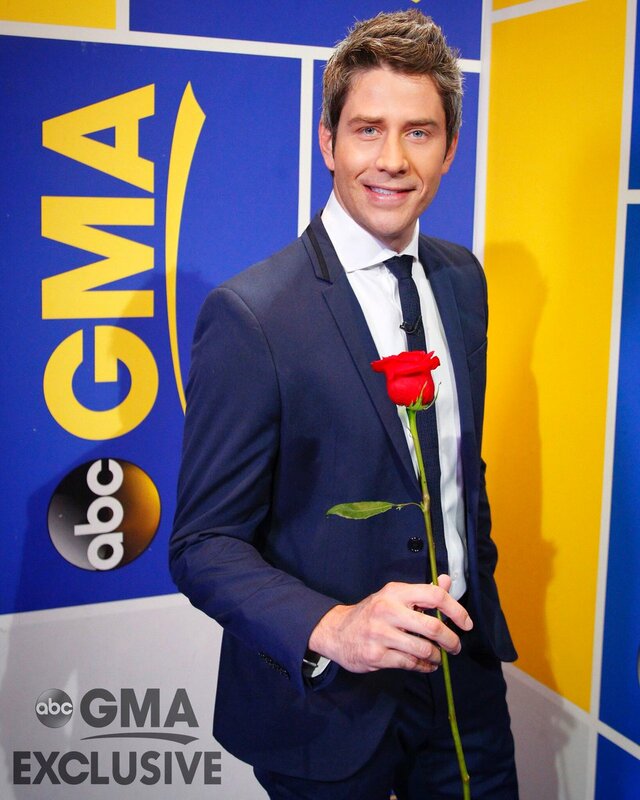 Arie finally decides who to honor with the all-important “first impression” rose. But how will his choice sit with the other women? A nerve-wracking rose ceremony ends the journey for eight lovely ladies, but for the 21 remaining bachelorettes the road ahead will be filled with passionate highs and heartwrenching lows. Arie’s journey has finally begun! Editor's note: contestants are now revealed (see posts below). Romantic and adventurous dates will reach new heights this season, testing the ladies’ perseverance in pursuing their romantic objective; along with fun, exciting and exotic dates that will elicit real and raw passions. Two back-to-back one-on-one dates kick off the season. Arie treats the first woman like a princess, complete with designer dresses from fashion icon Rachel Zoe. After that romantic evening, Arie whisks another lucky bachelorette away to his hometown of Scottsdale, Arizona, where she gets a glimpse of his everyday life and even meets his parents. The unforgettable evening ends with a private performance by singer-songwriter and musical artist Connor Duermit. Fifteen women clash in a “Bachelor” demolition derby with special commentary by Chris Harrison and Arie’s friend, racecar driver Robby Gordon. Chaos ensues as eight bachelorettes face off in a G.L.O.B. (Gorgeous Ladies of the Bachelor) wrestling match. Legends from GLOW – Ursula Hayden and Angela Altishin – train the women for the matches. And Arie takes on a surprise guest, Kenny “Pretty Boy Pit Bull” King from Rachel’s season, but who will emerge victorious? Arie takes romance to new heights as he and a thrilled bachelorette go parasailing on Lake Tahoe and then enjoy dancing and kissing the night way to a performance by hot country music band Lanco. The remaining women travel to beautiful Ft. Lauderdale, Florida, for a deluxe one-on-one date on a 100-foot yacht, dinner at an antique car museum and a private concert by Tenille Arts. An adventurous airboat trip through the Florida swamps not only uncovers alligators, but a delicacy: frog legs! If the bachelorettes’ hearts could beat any faster, imagine being in Paris, one of the world’s most romantic cities, while creating beautiful memories with Arie. Whether on a speedboat touring the city on the Seine River, enjoying a wonderful picnic in the Luxembourg Gardens, performing at the famed Moulin Rouge, dining at Maxim’s or kissing atop the iconic Eiffel Tower, it is an emotional part of Arie’s and the women’s journey. The next stop is magnificent Tuscany, Italy, showcasing its unique culture, cuisine and breathtaking countryside views. The hometown dates are filled with emotional revelations, but in a 180-degree turn, the final three bachelorettes travel to spectacular Ica, Peru, for the unpredictable overnight dates where the relationships have a chance to flourish. But will more surprises await the unsuspecting Bachelor before he travels to Cusco, Peru, to hopefully choose a wife? Will Arie open his heart and find the woman of his dreams who will love him back? What do a quirky, cute set decorator who has a thing for taxidermy, death and zombies; a Yale graduate with the business acumen to be a big success, but failing grades in love; a rock-climbing nanny who combines youthful exuberance with classic charm; a lovely Latin lady who can spice things up in the romance department; and a former model who harbors a huge secret all have in common? They all have their sights set on making the Bachelor, Arie Luyendyk Jr., their future husband when the much-anticipated 22nd edition of ABC’s hit romance reality series “The Bachelor” premieres, MONDAY, JAN. 1 (8:00-10:01 p.m. EST), on The ABC Television Network, streaming and on demand. Fans can go to ABC.com/BFL and the ESPN Fantasy App to play The Bachelor Fantasy League, which allows players to challenge their family, friends and #BachelorNation in predicting weekly events, the last four women and the one who will receive the final rose. The game is presented this season by New Olay Whips. No purchase is necessary to play. See official rules at abc.com/bfl for full details. Arie Luyendyk Jr., 36, the dynamic and debonair race car driver, will meet 29 potential soul mates as he begins his exciting search for true love. In the premiere, “Episode 2201,” Arie prepares for the night of his life as the beautiful bachelorettes, all clamoring to meet him, begin to arrive. Chelsea wastes no time luring Arie away once he enters the mansion, serving notice to the rest of the bachelorettes – game on! TV host Jessica, whose father once met Arie at a racetrack, believes they were meant to be together. Stunning Jacqueline questions Arie about why he never found real love since Emily. Kendall, who is obsessed with taxidermy, decides to entertain Arie on her ukulele. And one self-assured woman, Brittany, dares Arie to race her riding miniature racecars. Preview/trailer for The Bachelor. It premieres tonight. Watched the first episode and it was awesome. It has a longtime that every episode of Bachelor/ette didn't post between the episode summary. “Episode 2202” – Arie’s search for love gets off to a fast start with back-to-back one-on-one dates with Becca K. and Krystal. The Bachelor transports Becca K., via a slick motorcycle ride, to a breathtaking oceanside Malibu mansion, where celebrity fashion designer Rachel Zoe works her magic on Arie’s date. Krystal looks to a possible future with the Bachelor when she visits his hometown of Scottsdale, Arizona, and meets his family. But she is concealing a dark secret that might scare Arie away. Fifteen eager women travel to a racetrack for a rip-roaring demolition derby with one ultimate winner. Chris Harrison and celebrated racecar driver Robby Gordon handle the play-by-play duties. The bachelorettes ratchet up the intensity at the cocktail party as two women face-off. Arie sorts through the drama while the ladies’ feelings continue to grow, on “The Bachelor,” MONDAY, JAN. 8 (8:00-10:01 p.m. EST), on The ABC Television Network, streaming and on demand. Arie lures away Becca K. to a truly Cinderella date. Once ensconced in their Malibu mansion, Arie introduces his date to a surprise guest: Rachel Zoe, fashion designer to the stars. Becca K. has the opportunity to try on a number of gowns and gives Arie a private fashion show. He not only has a big surprise for her, but he continues to amaze her with special gifts. But will he give her the biggest gift of all – a rose at the end of the evening? Krystal also captures a special one-on-one date with Arie, jumping on a private plane to his hometown of Scottsdale. Not only does she get a taste of what life would be like if she were to get the final rose, but she also gets to meet Arie’s father, the two-time Indianapolis 500 winner, his mother and younger brother. Krystal is envious of the close-knit family Arie enjoys as hers is so different. At dinner that evening at the historic Bradbury building she recounts a heartbreaking story about her brother that brings her to tears. Afterwards, as the couple slow dance to a performance by soulful singer Connor Duermit, she wonders if her dark family situation will scare Arie away. The next day, it’s a rowdy, rollicking, no-holds-barred demolition derby with 15 of the bachelorettes. The women learn that they must bang their cars into one another until only one is left with a working vehicle and emerges victorious. One woman is traumatized by her past experience with bumper cars, but most of the women embrace the opportunity to unleash some healthy aggression. The intense competition continues at the after party for Arie’s time and attention. The cocktail party invites more conflicts between the women with two of them squaring off in the middle of the festivities. Three heartbroken bachelorettes go home as the remainder celebrate continuing on the journey to share Arie’s love. Off for The Amazing Race 30, folks! “Episode 2203” – As the charming race car driver intensifies his search for his soul mate among the 18 remaining women, Arie selects eight women to battle for supremacy in the wrestling arena with two top veterans of the Gorgeous Ladies of Wrestling (GLOW) – Ursula Hayden and Angelina Altishin – sharing their secrets of success in the ring. The undercard will feature a surprise guest, Kenny “Pretty Boy Pit Bull” King from Bachelorette Rachel’s season, who will take on the Bachelor himself. Lauren S. is the lucky recipient of a romantic one-on-one date with Arie to a Napa Valley vineyard. “The Dynamo Dogs,” a group of lovable canines, and seven of the women perform together, becoming the stage sensation “Arie’s Amazing Acrodogs,” with Chris Harrison and gifted comic actor Fred Willard offering their hilarious commentary. One woman’s best romantic intentions are put to the tough test at the cocktail party, on “The Bachelor,” MONDAY, JAN. 15 (8:00-10:01 p.m. EST), on The ABC Television Network, streaming and on demand. Ursula “Babe the Farmer’s Daughter” Hayden and Angelina “Little Egypt” Altishin, two legends from the women’s wrestling federation GLOW, teach eight women the killer moves and over-the-top theatricality they will need to succeed. However, a few of the bachelorettes are upset by the aggressive nature of Ursula and Angelina’s wrestling personas. Each of the women are assigned their own wrestling personalities, using wildly imaginative costumes and makeup. Arie starts the show facing off against Kenny King, but will he emerge victorious? Then it’s the bachelorettes’ turn to challenge one another in the Gorgeous Ladies of the Bachelor (GLOB) tournament. The excited stadium crowd witnesses one woman stake her claim to the GLOB World Champion belt. At the after party, some ladies make strides in their connections with Arie, while others simply fall flat. Lauren S. and Arie take flight in a private jet to a dream vacation spot for wine lovers – Napa Valley. They enjoy a secluded picnic, but it is hard for Lauren S. to overcome her nerves. At dinner the couple is entertained by the BellaRosa String Quartet, but will the bachelorette be able to bond with Arie or not? Seven other women join Arie and his adorable dog, Bastian, on a group date. “The Dynamo Dogs,” along with their trainer Gayle Mirabella, meet them in a Los Angeles park where Gayle reveals that the bachelorettes will perform with her furry troupe in the hit show, “Arie’s Amazing Acrodogs.” Chris Harrison and talented actor Fred Willard (“Modern Family,” “Best in Show”) offer their color commentary on a “pup-roarious” reenactment of Arie’s journey to find love. The after party provides some romantic missteps when one lady looking to get up close and personal with the “kissing bandit” stumbles on another woman who actually has her dream come true. And the sparks continue to fly at the cocktail party as Arie and one woman face off sending a shockwave through the group. Fifteen women receive roses and travel to South Lake Tahoe, Nevada, for more romantic adventures. “Episode 2204” – Arie and the 15 remaining bachelorettes leave the Bachelor mansion behind and begin a cross-country trip to continue their search for love. First stop? South Lake Tahoe, Nevada! Seinne gets the first one-on-one date and joins Arie on a sheer adrenaline date: parasailing. Meanwhile, one woman gets a critical phone call that might change her romantic journey. A dozen ladies hike into the snowy wilderness on a survival-themed group date where they get a crash course in roughing it in the woods from professional survivalists. Arie invites Bekah M. on a romantic horseback ride through the picturesque mountainside of Lake Tahoe. However, he is about to learn a closely guarded secret about Bekah that might put an end to the couple’s possible happy ending. Finally, one bachelorette interrupts the rose ceremony to plead her case to Arie and enrages the rest of the women, on “The Bachelor,” MONDAY, JAN. 22 (8:00-10:01 p.m. EST), on The ABC Television Network, streaming and on demand. Seinne and Arie’s chemistry is simmering just below the surface, but that could change when the couple takes off on a wild parasailing adventure, which the rest of the women jealously watch through binoculars. Seinne confesses at a romantic dinner that night that happy endings have been few and far between for her. Will she get her fairytale ending with Arie? The two finish a giddy night filled with excitement dancing to the country music of LANCO. Twelve ladies will be put to the test as they hike into the woods with survivalists Mykel Hawke and Ruth England-Hawke, who genuinely test their survival skills with some very unpleasant food and drink. The bachelorettes are attempting to track down a hot tub oasis in the middle of nowhere. The competition gets fierce when Krystal ramps up the drama when she sees Arie share his affection with other women. At the after party, Krystal is still on the rampage, confronting two ladies whom she feels “bullied” her earlier and planning her revenge. The vivacious Bekah M. joins Arie for what should be a special day as they nestle in each other’s arms in a secluded hot tub in the woods. However, at a romantic dinner Bekah M. shares a stunning revelation about herself. Will Arie be able to look past this admission to continue their budding relationship or is this the end of the road for the lovebirds? Panic sets in the next night as Arie makes a surprising decision. Who will stay? Who will go? Nothing goes according to plan. Next stop? Ft. Lauderdale, Florida! “Episode 2205” – The drama is ramped up when Chelsea receives the first one-on-one date in Ft. Lauderdale. Arie swoops in to take her on a 100-foot luxury yacht, but her checkered past may endanger her getting a rose. Eleven women split into two teams for a day of competitive bowling with the winner going to a private after-party. Tia and Arie travel to the Sawgrass Recreation Park, riding an air boat through the Florida swamps, but then she reveals her daunting past, which might spell the end for this happy couple. The women decide to confront one selfish bachelorette about her behavior at the cocktail party. Everyone is on edge as three more women are sent home in tears. The search for love is about to go international, as Arie and the remaining women travel to one of the most romantic cities in the world: Paris, on “The Bachelor,” MONDAY, JAN. 29 (8:00-10:01 p.m. EST), on The ABC Television Network, streaming and on demand. Arie surprises Chelsea with a romantic one-on-one date that has the other women green with envy. The couple takes off on a luxury yacht for a day of fun on the water. At dinner in an antique car showroom, Chelsea shares an emotional story with Arie about her past. Then he treats her to a private concert by country music artist Tenille Arts. What will Arie make of Chelsea’s history? Does it fit with his idea of a future wife? The bachelorettes divide up into “The Spare Roses” and “The Pinups,” facing off for a day of competitive bowling. The winning team will go to a private after-party with Arie. However, the Bachelor has a surprise in store for the women. One unhappy bachelorette lashes out at the Bachelor. How will Arie react to her temper tantrum? Kendall helps him forget the blowup, but the fun comes to a screeching halt when a party crasher shows up unexpectedly. With all the loud drama, who will get the group date rose? For a change of pace, Arie takes Tia to the Sawtooth Park Reserve for a day air boating through the swamps. After dining on delicacies of frog legs and other treats, Tia lays out the painful details of her personal life, but will her brutal honesty scare off Arie? At the cocktail party, one self-absorbed woman will be taken to task by the other bachelorettes who are fed up with her behavior; but meanwhile, a smart lady is busy capturing Arie’s attention. Everyone is on edge at the rose ceremony as three more women are sent home in tears. The stakes are raised as the group begins their international travel with a trip to the City of Light: Paris! “Episode 2206” – Paris, one of the most exciting and romantic cities of the world, is a spectacular backdrop for Arie’s continuing search for his soul mate. After the “Krystal-ized” drama of last week, the women are looking for a fresh start. Imagine their horror when they discover that the dreaded two-on-one date is this week. But first, Lauren B. and Arie are whisked away on a luxury speed boat down the Seine River and then tour the city’s tourist attractions. Arie surprises a group of the women with a visit to the legendary dance hall, Moulin Rouge, ending with one of them performing with the Bachelor that night onstage. Krystal and Kendall face off during the two-on-one date that ends with a romantic kiss at the top of the Eiffel Tower for one woman. The final date goes to Jacqueline, but a clash in lifestyles might be a deal breaker for Arie. Difficult decisions lie ahead at the rose ceremony and the seven remaining bachelorettes pack their bags for Tuscany, on “The Bachelor,” MONDAY, FEB. 5 (8:00-10:01 p.m. EST), on The ABC Television Network, streaming and on demand. Arie and Lauren B. take in the historic sites of Paris, but their date gets off to a slow start filled with awkward silences and forced conversation as they try to get to know each other. Lauren struggles to open up, but later at dinner, she reveals a secret that she worries might ruin her chances. Will the couple make a breakthrough and forge a connection? Six bachelorettes are ecstatic to discover they will get private dance lessons on the stage of the famed Moulin Rouge. They show off their moves, but grow more intense and competitive when they learn that one woman will earn the chance to dance with Arie onstage that night in a performance. Afterward, the claws come out as the ladies long for Arie’s dance partner to depart. Arie takes Krystal and Kendall to a beautiful chateau for their feared two-on-one date. The women argue and then at dinner, Arie makes a dramatic choice and takes the lucky bachelorette to the top of the Eiffel Tower where the two kiss while the other woman is left to wonder what went wrong. On the final day in the City of Light, Arie takes Jacqueline on a wonderful shopping date where she models the latest Parisian fashions and then they dine at the iconic Maxim’s. However, Jacqueline shares her future plans, which might cause Arie to re-think whether he will offer his date a rose. Which two women will be sent home brokenhearted and which seven toast to their next stop? Tuscany! “Episode 2207” – The pressure mounts as the crucial hometown dates loom, but first Arie and the remaining seven bachelorettes travel to beautiful Tuscany, Italy. High anxiety permeates the group when the women find out there will not be any rose ceremony this week. Becca K. gets the first one-on-one date and a romantic picnic where the couple will discover if they can rekindle their passionate connection. Meanwhile, an emotionally confused Jacqueline takes a big step and visits a surprised Arie in his hotel room. Arie and Lauren B. explore the charming town of Lucca, but she needs to convince her suitor that she is ready to take the next step in their relationship: a hometown date. Seinne and Arie go hunting for truffles, but Arie is searching for clarity when it comes to this beautiful, smart and charming woman, and how she might fit into his life. Finally, Kendall, Tia and Bekah M. battle for the final rose of the week, and Arie is left to wonder if he made the right decision as four women prepare to take him home to meet their families, on “The Bachelor,” MONDAY, FEB. 12 (8:00–10:01 p.m. EST), on The ABC Television Network, streaming and on demand. Arie whisks Becca K. away in red convertible to the quaint medieval village of Barga. As they picnic atop a hill overlooking the picturesque Tuscan countryside, the two try to reignite their initial spark before it is too late. Can they heat up their relationship and head to Becca’s hometown? Jacqueline needs to decide whether she can totally commit herself to the handsome Bachelor and decides to lay it all on the line when she gives a late-night knock on Arie’s hotel door. What transpires turns his world upside down! Lauren B. hasn’t been able to conquer her nerves or allow herself to be total vulnerable, but that will need to change if she is to get a rose and a hometown date. Arie and Lauren B. ride bikes, shop and indulge in gelato in Lucca; but at dinner, the usually play-it-safe bachelorette shares her true feelings for the Bachelor, but his reaction surprises her. Did she share too much too soon? Seinne and Arie spend the day with a local legend and his dogs searching for truffles and share a delicious homecooked meal with the truffle hunter’s extended Italian family. How will this captivating woman fit into Arie’s life? Will she capture his heart? A beautiful villa is the backdrop for Arie and three delightful women – Bekah M., Kendall and Tia – to have one final group date before hometowns. One woman throws another under the bus as everyone’s emotions run high and it is left to Arie to make his toughest decision yet. Will he live to regret it?